Fig. 1. 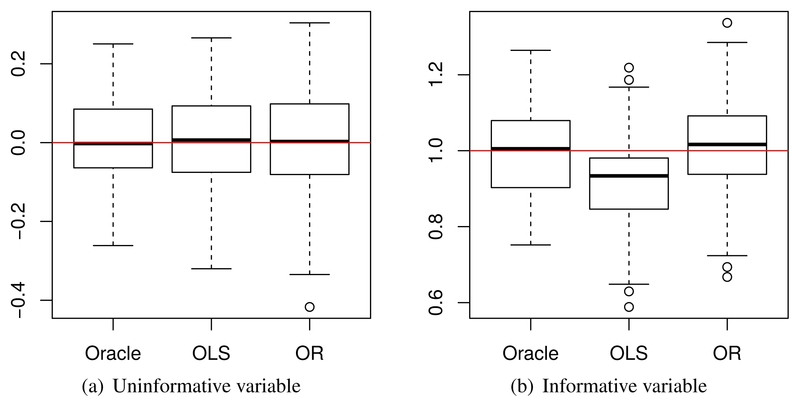 Boxplots for coefficient estimates of (a) uninformative variable (β1) and (b) informative variable (β2).